We talked earlier about LG working on a new Gram 2-in-1 device that would be shown off at CES 2019. It seems that we were right and even though the product is “coming soon” according to the official website, the LG Gram 2-in-1 is available for purchase at some retailers such as BestBuy. 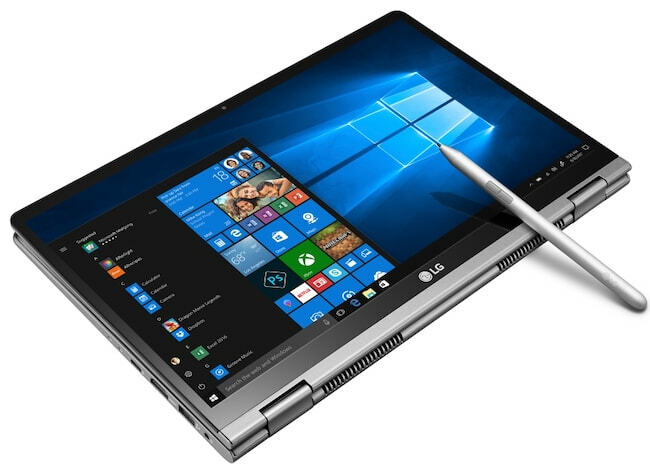 The new LG Gram 2-in-1 comes with new hardware and is powered by the new Intel 8th generation processors. The new processors are based on the Whiskey Lake architecture. 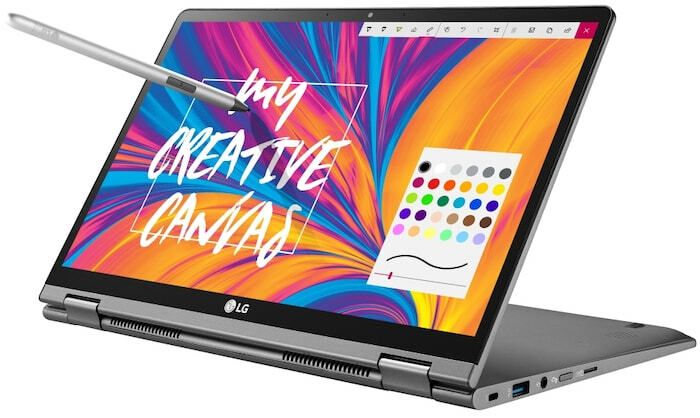 It is worth noting that even though the new LG Gram 2-in-1 is a versatile machine that can be used as a laptop and a tablet, there is no 4K option for the screen. The display is only 14-inches, and the screen size is not enough to appreciate 4K resolution, which might be the reason why LG is not offering the option. The new LG Gram 2-in-1 comes with Gorilla Glass 5 and a 360° hinge design, but there are some drawbacks. The new model is 0.1 inches thicker than the previous one. The 2-in-1 weighs 2.53 pounds compared to the older one that weighed just 2.13 pounds. The difference is a minor one and is not a dealbreaker. I am sure that most users won’t be able to tell the difference. It is worth pointing out that even with the additional weight the device is still lighter than the 2018 Apple MacBook Air. Gram laptops are known for being some of the lightest on the market, and that is something that we are going to see in 2019 as well. Talking about the battery life of the device, LG claims that it will last 21 hours, but that is under very specific conditions. We will have to test the device to see what the battery life is actually like, but if I were to venture a guess, I would say that it would last around 12-14 hours which is very decent indeed. The device comes with a stylus which can be used to take advantage of the touchscreen. The stylus has 4096 levels of pressure and has tilt detection to give you a more natural feel when writing. LG claims that the stylus batteries will last up to 18 months which is very impressive even if they last a year. 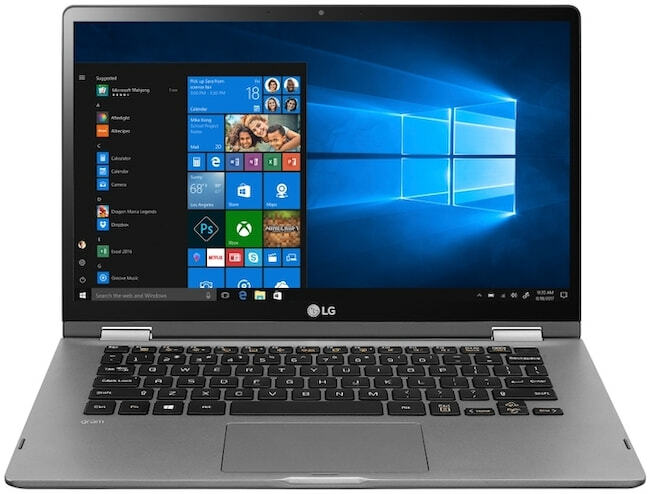 The new LG Gram 2-in-1 is available right now for $1500, and for the money you get the Intel Whiskey Lake Core i7-8565U CPU, 512GB of M.2 SSD for storage, 16GB of DDR4 RAM and a 1080p display. That might seem like a lot of money for a laptop, but you are paying for the portability and the lightweight. Not to mention the high-end specifications as well. Let us know what you think about the new LG Gram 2-in-1 and whether or not this is something that you might be interested in buying for yourself.